Addressing the media at the Army headquarters in Harare today, Mugwisi say they have no direct role in the upcoming elections except assisting the police in maintaining law and order. “The Zimbabwe Defence Forces has no direct role in the upcoming elections. Our role in the elections is mainly to support the Zimbabwe Republic Police in their role of the maintenance of law and order in the country before, during and after the harmonized elections. We also remain ready to assist the Zimbabwe Electoral Commission with transport where necessary,” said Mugwisi. With a history of interfering in politics and declarations that the army would not salute a President without liberation credentials, opposition parties in Zimbabwe are skeptical of the offer made by the ZDF any involvement including providing transport to ZEC would dent the credibility of the forthcoming elections. Writing on his Twitter account, Zimbabwe Yadzoka Coordinator, Dr Victor Chimhutu said for Colonel Mugwisi to dismiss claims that the army involvement in politics is political play and just dressing citing the alleged use of army helicopters in the Zanu PF primaries. “It’s public knowledge that ZDF helicopters where used in ZANU-PF primaries. It’s public knowledge ZDF always play a significant role in our politics & elections. For Colonel Mugwisi to dismiss that make it just a political play. Just window dressing,” he said. MDC-T Khupe Spokesperson Linda Masarira said the army is not being sincere is quashing claims of their involvement in politics. “Col Mugwisi is not being sincere in his statement. If ZDF members indeed have that freedom why are we being denied to campaign in their barracks? Or to put up our campaign posters? Soldiers & their spouses also have the right to information and to meet with candidates,” said Masarira. 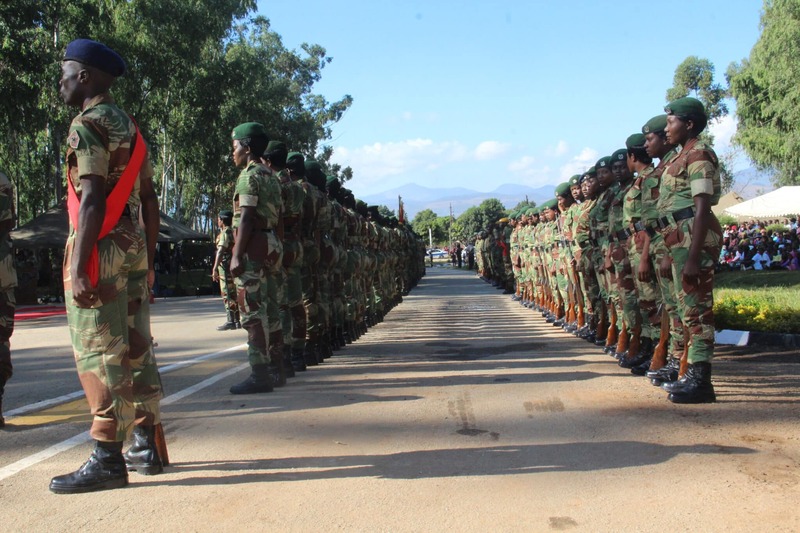 In its statement today, the Zimbabwe Human Rights Association (ZimRights) welcomed remarks by the army saying they hope this will usher in a new sustainable culture, where the country’s security services protect every Zimbabwean and the national interest, without political bias.